Creating a manga script may seem too complex and formidable at first sight. However, it always proves to be absolutely worthwhile when you see the final product. Manga is a Japanese style of a comic book, which appears in a smaller format and is featured by a distinctive drawing style. The most recognizable characteristics of manga are long, thin characters with huge eyes, eye-catching hair, and other extraordinary features. Even if you are not an adept at drawing, you can still make a contribution to this compelling visual medium by creating a script for an artist to work with. The first thing you need to take care of is to come up with a brand-new idea for your story. Some really brilliant ideas can germinate in your mind any time, so be ready to jot them down. You should keep in mind that manga, with its own rules and conventions, differs from regular American comics. Thus, you need to familiarize yourself with its peculiarities and at the same time, focus on the genre of the story you want to create. While reading, be especially mindful of the format, pacing, character depiction and plot resolutions. On the Internet, you will find multiple information on how to write a comic. You can make use of this information since some of the rules in comic writing are also applicable in manga. In fact, you can benefit from any information on how to develop this visual art form. But other from that, you can research comic authors and artists and find their own websites where they share information about their own personal styles and techniques. Visit the websites of manga publishers you intend to send your script to. As a rule, they contain precise information about the format, pacing, dialogue, as well as guidelines you need to stick to. Study these guidelines and the samples they give. If you want your script to be published, you should offer the publisher exactly what they are asking for. Strangely enough, but writing by hand in early stages may boost your creativity. However, if working with a computer is more convenient for you, do so. Lay out your ideas, brainstorm crucial scenes. Create a rough outline. Create a separate note card for each plot part and dwell on it on its own note card. Calculate an approximate number of pages it may take to elaborate on this part. Put this number in the upper right-hand corner. Lay these cards out on your table in the order you want your script to appear. This small trick will enable you to “see” the plot, and rearrange the elements to ensure a perfect flow of your script. Stick to the publisher’s guidelines on page requirements. If your script should not exceed 120 or even 50 pages, it will influence how much you will need to edit the script and how many details you are allowed to include. Break your script into three sections: the introductory part, main plot, and conclusion. 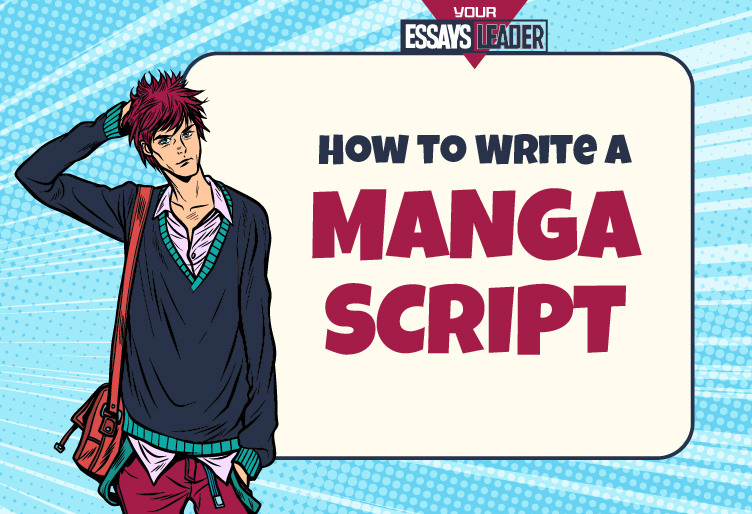 If your required manga length is 100 pages, your script should contain 20 pages of the introductory part, 60 pages of the main plot, and 20 pages left for the conclusion. Break the cards down into these three categories. Add up the approximate page numbers, which you have put down on the cards. If your introductory part constitutes 22 pages, you will need to cut 2 pages or borrow from the allocated pages for your main plot. As soon as you have the required number of pages for all sections, you can get down to your final outline. When having a more or less clear-cut plot, some writers also create the “page breakdown,” which contains information on how many pages the story may take and gives a brief description of the actions that take place on each page. This step helps to feel how the whole story will appear and what effect it might produce. Additionally, some writers create a “rough thumbnail sketch” – small drawings for each page, which they send to the artist to give the insight into how to visualize each page. Focus on the first few cards. Work up the general plot and dialogue for the first part. The most important rule is to keep your manga simple. Additionally, remember that in the case of manga, being concise is fundamental. Your dialogues should have a natural form while the action and expression of the characters should be central in your story. As a rule, manga has from four to six panels. A five-page section will thus include twenty to thirty panels. Work through your written scene and number the sections that will constitute the panels. If you eventually have a redundant or insufficient number of panels, edit them to satisfy the length requirements. Remember that big plot points should be described in larger panels, so you may have some pages, which will contain only one or two panels. Make use of blank paper and break down into sections. Create a rough outline of your drawings to see how your panels will be located. To do this, you do not need to have any special artistic talents; stick figures will suffice. Visualizing the basic arrangements of characters and plot will help you to imagine how drawings and the script would go together. Additionally, it will help you to get rid of redundant sections and see whether there will be enough space to put both a dialogue and a drawing. Put the corresponding number on each piece of paper. Number the panels one by one. Provide a complete version of the script that the artist will be using. Stick to the publisher’s format guidelines. Make use of your notes and basic drawings to give the artist an insight into the action. Give the artist guides as for how the character’s bodies are positioned, where they are standing in relation to each other, the location of objects. Additionally, explain what the characters feel to visualize their feelings and emotions on paper. Depending on the publisher’s requirements, add the details that would convey the true atmosphere of the scene such as the screech of a car’s tires, etc. You can have a perfect image in your mind but the artist may have no clue of what you are trying to convey whatsoever. Elaborate descriptions are helpful, but if you are depicting a particular historical costume, try to find an appropriate photo on the web and include it in your script. Ensure that script pages and panel numbers are coherent and that you have not left out any numbers or sections. Stick to the publisher’s guidelines before sending your script. As a rule, they require you to send a summary, outline, and elaborate character descriptions for the artist. Include photos for the character depiction when necessary. The arrangements of the panels and portrayal of the action are the most difficult aspects of creating a manga. Here the familiarity with other manga comics will come particularly in handy. At times, just taking a look at how a similar situation or scene in another manga was developed may give you insight into how to present yours. If a particular scene is crucial but you cannot fit it into the allocated pages or panels, write your script the way it looks best. In case the publisher refuses to accept a longer work, cut those pages out of some other part of the story. As a rule, there are some redundant or unnecessary sections that you can put in a simpler way or cut out completely. Remember that repeating details in the script is necessary, even if they seem evident. For example, always mention that a particular character has a cigarette in his hand. Sometimes, artists can just follow your description and forget what happened before.